It’s no secret that sleep does a body good. Your mind and muscles get time to rest, and your skin gets a chance to breathe, if you let it. Though it doesn’t seem like it, getting enough sleep is an important part of skin care. Our skin goes through a regenerative process as we rest. Skimping on sleep can throw off your skin’s sense of balance, so take advantage of all the shut-eye you can get! Here are 5 beauty sleep tips that can improve the overall health of your skin. Your entire body recuperates as you sleep, so let it! Letting yourself rest for at least 8 hours allows your skin to begin healing, fighting against skin conditions, such as eczema, psoriasis, and dry skin. These conditions may actually worsen if you aren’t sleeping enough. The more inflammation in your body, the worse you feel, so all the more reason to sleep as much as you can. Cotton pillowcases can tug at your skin as you sleep, causing premature aging and breakouts. Using satin or silk pillowcases, though a little on the pricey side, provide a smoother surface for your skin. This lowers your chances of spotting wrinkles in the mirror too early. Plus, satin feels extra luxurious after a long day. We all know the feeling of waking up in the middle of the night absolutely parched. Dehydration wreaks havoc on your skin, so be sure to take a few sips before bed, but not too many! Over-hydrating can cause sleep disruptions (hi, constant bathroom visits!). If you’re concerned about not being able to sleep through the night, we recommend eating a few veggies before dinner and avoiding salt. Silk sleep masks block out the light and prevent your skin from creasing as you press your face into the pillow. They’re also known for locking in moisture and soothing sensitive skin. A sleep mask does take some getting used to, but trust us. It’s worth it! Some nights, you’re too tired to take your makeup off. You know you really should, but the thought of falling into bed is way more appealing. Our solution? Leave a small packet of makeup wipes on your bedside table! You’ll be able to take your makeup off with minimal effort. In addition to getting enough sleep, crafting a solid skin care routine gives your skin the love it deserves. 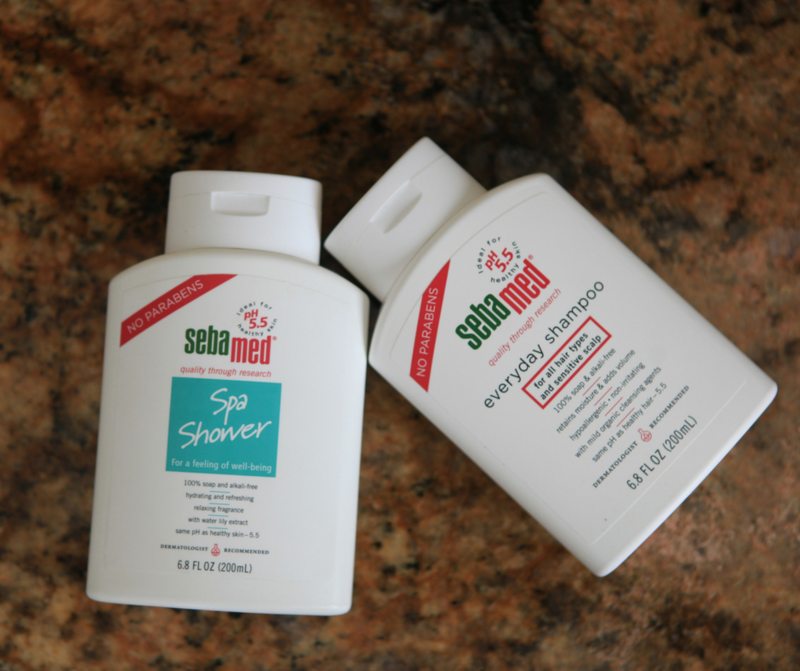 Sebamed products are pH-balanced, strengthening your skin barrier with each use. Our wide range of mild cleansers, lotions, and creams are gentle enough for all skin types. Check out our complete product lineup here.